The summer season is finally here, and the temperature has already touched 31 degrees. One of the first things you hear as soon as the season arrives is the importance of drinking adequate water to keep yourself hydrated. We all know how the summer heat can cause dehydration which can lead to electrolyte loss leaving you feeling lethargic, nauseous, exhausted and even cause diarrhoea. Drinking fruit juices like litchi and watermelon, lime water, and herbal tea is the easiest way to keep yourself hydrated in the summers. These are loaded with minerals, calcium and antioxidants which are good for the body. Here are some easy ways to keep yourself hydrated and give yourself some TLC this summer. * Carry a sipper with you. There is nothing better than consuming lots of water to keep yourself hydrated during the summers. 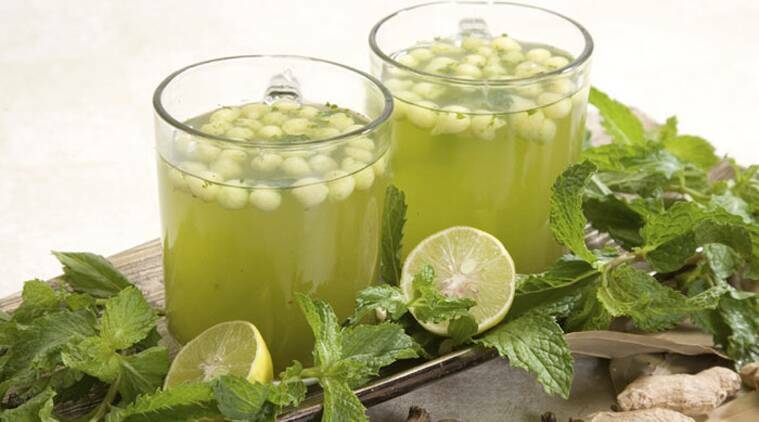 * Avoid colas; instead stock up on drinks like bel pathar sharbat, thandai, kokum sharbat, chhach, lassi and sattu to hydrate yourself and also replenish vital nutrients. * Avoid drinking too much tea and coffee in the heat. These beverages contain caffeine that can leave you feeling dehydrated. * Don’t overeat fried or processed foods because they make you feel thirsty and also cause acidity. * Coconut water, which is easily available, is a life saviour. Drinking tender coconut water once or twice a day can be extremely beneficial. But avoid packaged coconut water as it may contain preservatives and artificial sweeteners.